Is It Worth Signing Up to Get the Teaser Rate? Teaser Rate: You’ve probably seen a local gym offering a promotion along the following lines: sign up now and your first two months are only $10! Naturally, you have to sign a contract to get this rate, and after the two months are up, you’ll be paying far more than $10 a month. This kind of offer is known as a teaser rate and it’s not limited to gyms. Banks in Canada are currently advertising teaser rates for mortgages, GICs and high-interest savings accounts. Why do banks use teaser rates? Simple. It’s a way of attracting new customers (or, in some cases, of retaining current ones). Everyone likes a bargain, and the prospect of a better rate is difficult to turn down. Psychologically, consumers may also pay more attention to the initial rate (the teaser) than the rate that governs the majority of the product’s term. Teaser rates always seem like a good deal. But are they really worth it? Let’s take a look at three offers currently available and do the math to see how much you actually save. CIBC had a 4-year fixed mortgage promotion with a teaser rate of 1.99% for the first 9 months, followed by 2.83% for the rest of the term. Assume you’re buying a $400,000 home with 20% down ($80,000), which leaves you with a $320,000 mortgage loan. At 1.99%, your payments for the first 9 months would be $1,354/month. Subsequent months, when the rate jumps to 2.83%, would be $1,487. The teaser rate is a discount of $133 on the normal payment. How does this look over the course of the 4-year term? What if, rather than going for the teaser rate, you just got a 4-year fixed mortgage for 2.49%, which was the best mortgage rate on at that time. In this case, based on the same $400,000 house and $320,000 mortgage, your monthly payment would be $1,432. That’s a savings of $1,443 ($70,179 – $68,736) over 4 years compared to the CIBC offer described above. Last year, Tangerine offered 2.50% on all new deposits from April 8th to July 31st, to a maximum of $250,000. After the special offer period was over, savings accounts earned interest at a rate of 1.30%. Interest was calculated daily. Let’s say you had $10,000 at another bank earning 1.30% in early April 2014 and you planned to leave it there for an entire year. How much more interest would you have earned if you switched to Tangerine to take advantage of their special offer? First, let’s look at what you would earn at your existing bank. To find out the annual interest, we then just multiply this figure by 365 days. Total interest (non-compounded) earned at your existing bank would be $130. For the Tangerine offer, there were 23 days in April that paid the special rate, followed by the entire months of May (31 days), June (30 days) and July (31 days). That’s a total of 115 days at 2.50%. Here’s how much interest you would earn if you had moved your money over. And that’s just for the promotional period. Tack on the 1.30% interest rate you’d earn for the other 250 days in the year. We’re not the only ones who are wary of these offers. 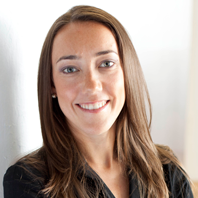 Both Rob Carrick and Ellen Roseman have written extensively about whether or not Canadians should sign-up for financial products based on promotional interest rates, especially if there are transfer fees involved (common with TFSAs). If you’re paying $45-150 to transfer from one bank to another, that’ll likely eat up all the additional savings the promotion should’ve brought you. Banks want your business and they’ll dangle all sorts of short-term promotions to get it. Before signing on the dotted line, or its electronic equivalent, make sure it’s actually a deal worth doing. 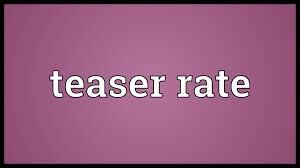 It only takes a few simple calculations to figure out if it’s worth taking advantage of a teaser rate.